FEST: Happy Chinese New Year! I’ve always wanted to experience a true Chinese New Year celebration. Despite the name, the holiday is celebrated all over Asia, including Thailand, Singapore, Korea, Vietnam & the Philippines. It seems like such a festive and bold celebration, a happy time where everyone travels home to be with thier families. 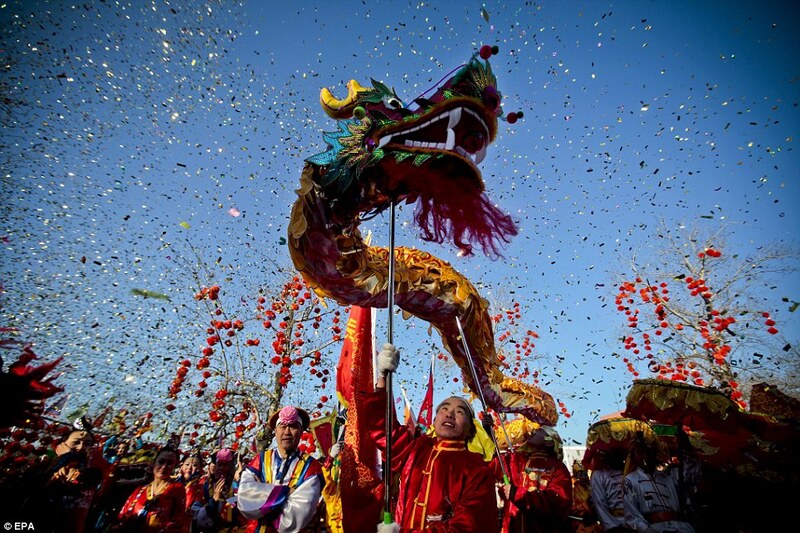 Click here to read more about Chinese New Year and see some more amazing pictures from celebrations around the world. Have you ever experienced a Chinese New Year celebration? my chinese neighbours bought us over food for chinese new year, they are so nice! I had a teammate and a coach in Germany who were Chinese. We celebrated with a big party at my apartment. It was so much fun. And although we had to practice on Christmas day, we had the day off for Chinese New Year!